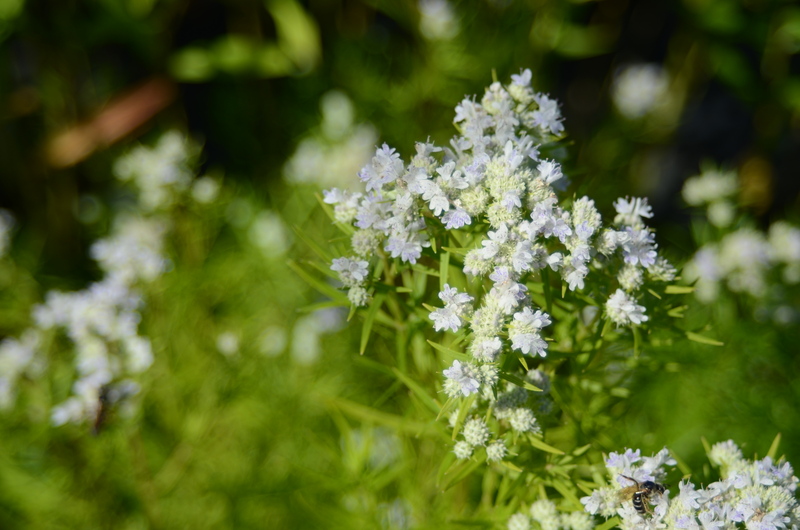 This beautiful perennial is has fresh, clean white blooms. This native Ontario species attracts many different pollinators. The smaller, narrow leaves are a way to tell the slender mountain mint from the Virginia mountain mint. Prefers well-drained soil.